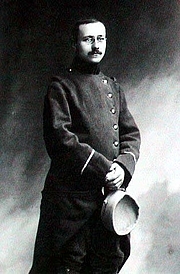 Marc Bloch was born in Lyon, and educated at the Lycée Louis-le-Grand and the École Normale Supérieure in Paris. He served with distinction in the French Army in World War I, and became an historian specializing in the medieval period. In 1929, while teaching at the University of Strasbourg, he published two groundbreaking works of political and social history. He and his colleague Lucien Febvre established the journal "Annales d'histoire économique et sociale," dedicated to promote more human-centered and accessible history. It would engender the influential Annales school of history. In 1939, he completed his masterful two-volume book La Société féodale (Feudal Society). Bloch joined the French Army again to fight the invasion of Nazi Germany in World War II, and after the army surrendered in 1940, he joined the French Resistance. During this time, he wrote Strange Defeat and The Historian's Craft. He was caught, tortured, and executed by the Germans in 1944. Marc Bloch is currently considered a "single author." If one or more works are by a distinct, homonymous authors, go ahead and split the author. Marc Bloch is composed of 13 names. You can examine and separate out names.